We had a great day at the RMG on April 2nd. We were hosting COCHA, as well as the newest members of OSNAP. You may be thinking: “what the heck?” Two seemingly disparate groups like COCHA and OSNAP meeting on the same day, and, for half that time, together? COCHA is the former group known as CHAPS. 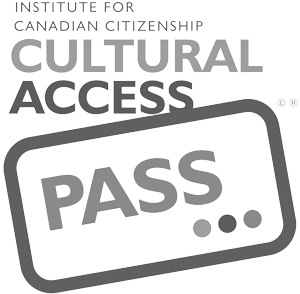 Since 2009, we’ve been trying to agree on what that stands for: Canadian Historical Art Projects? Canadian Historical Art Professionals? Despite loving the acronym, in the end it really didn’t say who we actually are. So, on Monday we decided it was COCHA: Curators of Canadian Historical Art. We’re a group of 13 Ontario-based curators who are passionate about historical art and get together twice each year to discuss our collections, the projects we’re working on and any possible collaborations between its members. As the host institution for this meeting, we decided to put our social media guru, Jacquie Severs, on the hotspot to give our group an overview of what she does on a daily basis (including posting blogs, of course!). We also invited the social media types of the COCHA galleries to join us. Jacquie did a brilliant job of presenting the fast paced, ever changing world of social media, and how through it, we hope to capture the hearts, minds and imaginations of a generation who derive much of their information through social media sites. The medium certainly continues to be as important as the message, and the community that it helps build will be the backbone of our galleries moving into the future. Jacquie was able to recruit the newest members to OSNAP, the Ontario Social Networking Arts Professionals. This is a group that started in 2011 as a way for marketing and communications professionals in the arts community to come together to explore social media best practices and build alliances for collaboration in galleries, museums and other arts organizations. At Monday’s meeting, OSNAP worked on strengthening the links between Ontario’s art galleries, while COCHA members discussed presenting the past in meaningful ways. Many of us work in relative isolation, so days like Monday are not only rejuvenating, but inspiring – and yes, just plain enjoyable – there are some great arts professionals in this province.